Sometimes I wish I could stop the passing of time. If I could, I would turn every fruit into jam, just to be sure I could have a taste of it, to live again the season and its memories with a spoonful of jam. In summer I challenge the heat and stir simmering pots of peach and apricot jams. In autumn everything has the orange and coral tones of quince and butternut squash. Winter is perhaps the season when I have more fun. Sometimes I regret the juicy summer peaches and the sweet crisp wedges of a ripe watermelon, but the lack of variety of winter fruit is only an appearance: there are citrus fruits, and they are all that I want. In winter I am full of energy and even my jam production enjoys a new momentum. The days I spend making citrus marmalade are among the happiest of the season: I get slightly tipsy with the essential oils and I am mesmerised watching the jam simmering away. I feel I am something in between an modern alchemist and a witch, among jars, ladles and pots. The bitter orange marmalade has an undeniable appeal: its bitterness makes it difficult to comprehend its charm, just like Woody Allen’s comic quality. When you get it, you fall in love, and there’s no coming back. The bergamot marmalade pushes the bitterness to an extreme level, balanced by an irresistible fragrance: open the jar and it’s like taking a bath in a cup of Earl Grey. This mixed citrus marmalade is balanced and cheerful. You taste the sweetness, the bitterness, an incomparable freshness and the lemon acidity. 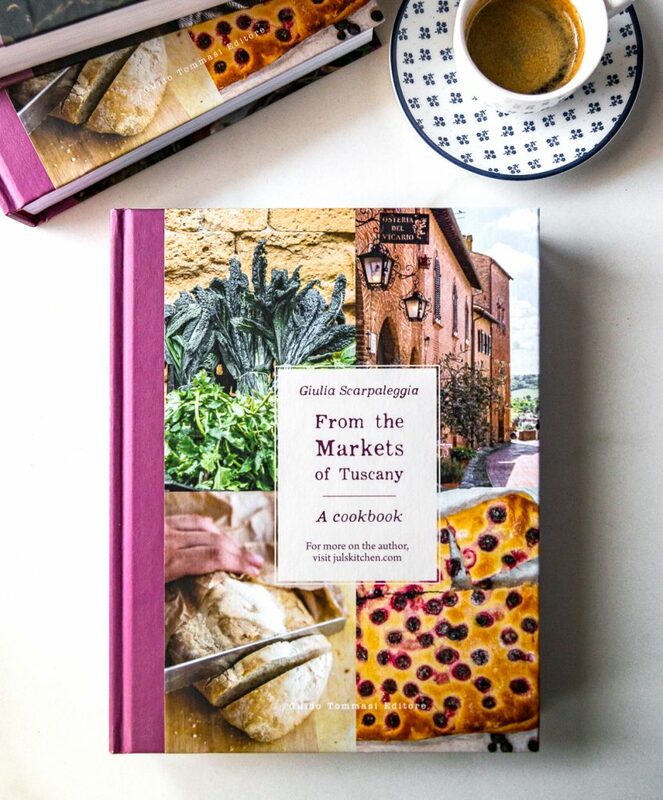 It makes you love it, and for this reason it is perfect as a gift, because you can enjoy it on toast for breakfast, as a filling for a sponge cake or as an ingredient to glaze a piece of pork to caramelise in the oven. The quantity of the ingredients, tested with every kind of citrus fruit, from bitter oranges to bergamots, from sweet oranges to lemons, is inspired by the recipe found on River Cottage: Preserves, one of my favourite books on the fantastic world of homemade jams and preserves. If we want to get geeky, we can use a pastry thermometer (a simple one, like this) that will easily show you when the marmalade is ready. I have always been dubious trying to understand when my jams were ready. Most of the time, pushed by impatience, I would turn off the fire too soon, filling the jars with jams that resembled a syrup. Other times, I would get distracted by an email, a book or a phone call and I would pass that perfect point, producing a caramelised jam I could almost slice. A pastry thermometer could save your jams, and breakfasts. Who wants a too runny or too rubbery jam on toast? The ideal temperature range indicating when the jam or the marmalade is ready is between 105°C (221°F), when pectin sets, and 108°C (226.4°F). At 105°C you will get a very soft jam, at 108°C a very thick one. I prefer to stop just in the middle, at 106°C, for the perfect texture. Always remember that your marmalade will thicken once cooled down, so do not look for a thick marmalade right from the pot! You’ll need to work on this marmalade on two days. On day one, carefully wash the citrus fruits under running water and dry them. Cut each fruit in half and squeeze it, collecting the juice in a bowl. Strain the juice and put it aside, then collect the seeds left in the strainer in a cheesecloth. Now cut each half of the fruit into four parts and remove the inner skin (the skin protecting each segment) with your hands. Collect this skin in the cheesecloth along with the seeds: both are rich in pectin and this will help your marmalade to set. Slice the citrus peel as thinly as possible. Collect the juice and the sliced ​​peel in a large pot and cover with 2 litres of water. Close the cheesecloth with a string to form a small bag and add it to the pot. Leave it overnight at room temperature. The next day bring the citrus peel to a boil over medium heat, then lower to the minimum and simmer gently for about two hours. The content will reduce by half. When the citrus peel is soft, carefully lift the cheesecloth bag out of the pot, place it in a strainer and press it well with a wooden spoon to have the pectin drip into the pot, then throw away the content. It has done its job. Remove the pot from the heat and add the lemon juice and the sugar. Stir until the sugar has completely melted into the marmalade. Put the pot back on the stove and bring to a boil, then simmer for about 20-25 minutes. If you have a pastry thermometer, the marmalade will be ready when it reaches 105°C (221°F). The marmalade will be still very liquid, it will thicken up once cooled down. You can also check empirically whether the jam is ready or not with the saucer test. Pour a drop of marmalade onto a cold dish from the freezer. If it thickens and does not slip away when you tilt the saucer, the jam is ready to be poured into sterilized jars. To sterilise the jars, you can boil the jars placed in a large pot and covered with water for about 20 minutes. Then turn off the heat and let the jars cool down completely before removing them. They can be kept in the pantry for more than a year. I am a fan of Toenzo’s blog. Here you can find a very detailed explanation of the mysteries of preserving (in Italian). This article is also extremely interesting, as you have a visual representation of the various jam cooking stages, from 217°F to 222°F. Two more recipes: Triple Citrus Marmalade on The Spruce and Mixed Citrus Marmalade by Leites’ Culinaria. There is another reason that pushes me to produce jams and marmalades far beyond the amount we could humanly eat. I like giving them away as a gift. A couple of friends invites you for dinner at the very last minute? Bring a jam jar, gift wrapped with a ribbon and a nice label. A birthday party? Choose the birthday boy’s favourite jam, and maybe a homemade liqueur. If I’m going to meet someone I’ve been talking to for years through the blog or a friend from high school I’ve not seen for ages, a jar of something homemade is always the answer. Just organise yourself throughout the year, setting aside half of the jars you produced, and you’ll have gifts ready for every occasion, from Christmas to housewarming parties. Next to the jars, I keep a box with labels, ribbons, strings, paper napkins, tags and mini wooden pegs: everything you need to gift wrap a jar, depending on the occasion. Ikea and Tiger are my reference stores for this. Every season has its peaks of ripe, juicy and affordable fruit production. It is the time to take out your ladles and pots, look for the jars, and carve out a few hours to spend in between the sink and the stove, to wash, peel, slice, cut, weigh and stir. Then you can align your jars on the shelves of your pantry. The winter citrus marmalade glitters in the dark, the summer jams are bright, just like the colours of an August day. 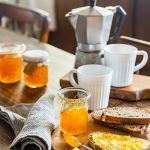 Every year I add a few recipes to our preserve archive, these are my favourites. Get ready and prepare your jam jars throughout the year, some for you and your family, others as a gift. Which is your favourite jam or marmalade? Would you share it with us? Hello Alice, you can use less sugar, but it might need a longer cooking, so it might get a bit darker! Can it be halved without compromising the result? What can I substitute for bergamot and citron, which are not readily available where I live? Thanks in advance. I look forward to trying this recipe. Hello Louise, small batches would be a good idea! You can halve the quantity, just check the cooking time, especially when you boil the citrus zest! You can use bitter oranges and grapefruit, but to dot skip the lemons!